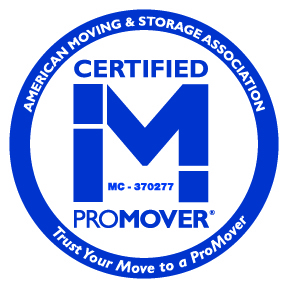 Need a Moving Company or Movers in Highland Beach, Palm Beach County? Need a Moving Company Highland Beach or Movers in Highland Beach, Palm Beach County? Highland Beach is an exceptionally alluring residential community blissfully located between Boca Raton and Delray Beach. Renowned as a world class sea side community, Highland Beach is so internationally popular - its population nearly doubles during the winter months. Nestled between the Intra-Coastal Waterway and the blue-green Atlantic Ocean, this idyllic community's main thoroughfare is a lovely, tree-canopied expanse of A1A. In close proximity to a multitude of cafés, restaurants, nightlife and superior shopping, Highland Beach is within easy reach of area golf, tennis and plentiful recreational facilities. The nearly 3 miles of pristine beach serve as a crucial Sea Turtle nesting ground. Because less than 1 in 1,000 sea turtles survives to adulthood, preservation of this endangered species remains a serious community commitment. Moving Company Highland Beach, Highland Beach's most selective residents have placed their confidence in Superior Moving Company for over two decades. Few Highland Beach moving companies offer our wide variety of relocation, local and long distance moving and storage services. Locally owned and operated – fully licensed and insured – Superior Moving and Storage has earned an outstanding reputation for integrity, reliability, quality and value. A trusted leader amid Highland Beach moving companies - Superior painstakingly trains every mover and packer to provide the "white glove" treatment on every move. Offering expert advice with thoughtful packing and handling – Superior strives to exceed Highland Beach's moving company expectations. Like other moving companies, we provide storage – but with a superior touch. Whether you need air conditioned storage, movers for a local trip or plan a full service cross country relocation – trust Superior Moving Company's movers for stress free transitions. Move forward with confidence, Highland Beach – knowing your furnishings are carefully packed by expert movers. Using sturdy, item specific boxes and superior quality movers' pads - thoroughly qualified movers use the utmost care handling every item. Our dedication to moving safety is far above other moving companies. Local and long distance relocation experts, our courteous and knowledgeable Highland Beach staff fully supervises all aspects of your relocation – your valuables will remain in the capable hands of thoroughly trained and experienced movers and moving company personnel. A leading Highland Beach moving company – we take great pride in our modern fleet of local and long distance trucks. Knowing your most valuable possessions will be transported in reliable, meticulously maintained vehicles is just another way Superior remains a cut above other moving companies and movers. Highland Beach's premier moving company, our immaculate, 100% air conditioned, 24-hour video surveillance/secured storage facilities safeguard your valuables in every way – including from Florida's intense heat and humidity. Unlike other moving companies, Superior Moving and Storage invites Highland Beach to tour our moving company's state of the art storage facilities. Compare relocation, long distance and local moving companies – then stop by to see the Superior Moving and Storage difference for yourself. Superior's courteous and expertly trained moving company staff will set you free in no time. We'll organize, package and label your local or long distance moves and relocations. Superior Moving and Storage offers Highland Beach residents the same exceptional services for relocations across the street, across the country and everywhere in between.